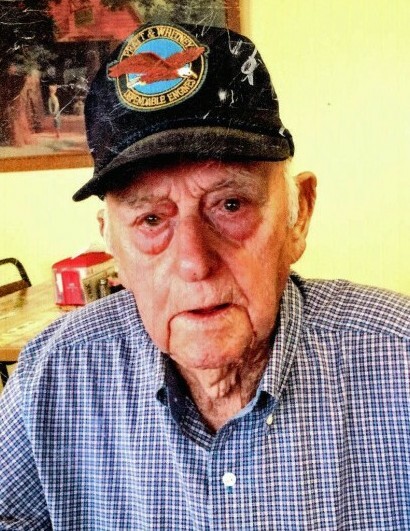 Harold Eugene Howard, 100, passed away peacefully March 15, 2019. He had been a resident of the Greenhouse Cottages of Belle Meade for the past two years after a fall in his home. Harold was born December 23, 1918, in Schugtown, Arkansas. Harold was a proud Navy Veteran of World War Two. Gardening was his favorite pastime. He shared the fruits of his labor with family, neighbors and friends. He was an avid sports fan, cheering for the San Francisco Giants and St. Louis Cardinals. He voted in every Presidential election from the age of 21. His niece, Shelia Weaver, accompanied him to the polls, November 8, 2016. He loved listening to and dancing to country music. He was preceded in death by his parents, Henry A. Howard and Sophie Belle Hampton; his sisters, Geraldine Howard, Pauline Jackson, Jean Vandegrift, and Bernice Howard; brothers, Edward Howard and Henry D. Howard; grandson, Randel Alan Castor; granddaughter, Shelli Castor. He is survived by his daughters, Joy Higgins, Peggy Davis, and Dannie Forbes, of Oakhurst, California; five grandchildren; eight great-grandchildren; and three great-great grandchildren. He is also survived by numerous nieces and nephews. Graveside services are planned for 10 am, Wednesday, April 10, 2019, at Greene County Memorial Gardens.